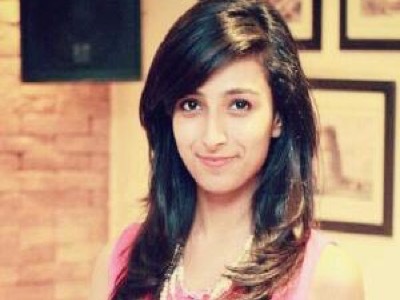 Ms. Shraddha Patil is the Co-Founder and Chief Mentor of TheMentorpreneurs. 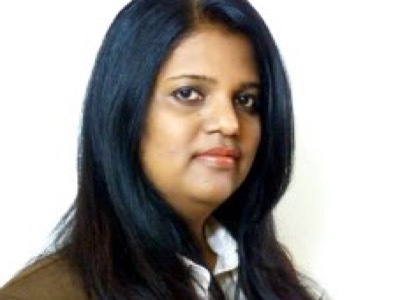 She is also the founder and CEO of The Success Route Consultancy Services. With a Master’s in Business Administration, she has more than 12 years of experience in various business roles, including cycle functions like Sales, Marketing, Business Development, Training and Business Consultancy. 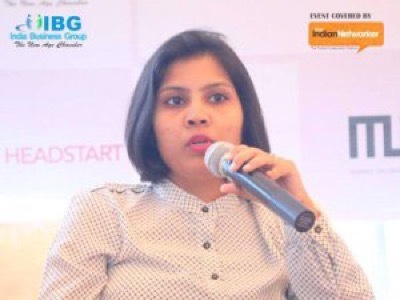 Realizing the importance and growth of social media, marketing and content development, she has diversified her firm “The Success Route” towards content writing, content marketing and social media marketing much earlier than social media marketing gained importance. She has hands-on experience in training, learning and development and has successfully conducted many seminars and workshops. 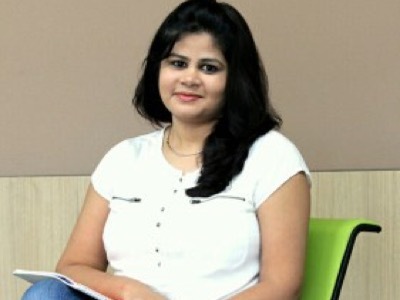 Shraddha is a voracious reader and likes to introduce new and radical concepts in social media marketing, content development, training and business consultancy. She is actively involved in mentoring some of the start-ups and mid-sized organizations helping them strategize their growth plans to expand their business. 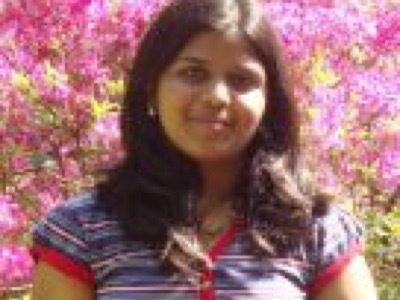 Shraddha has to her credit “Saturday Biz” – a weekly series in Learning and Development Forum, articles like – 3 I’s: Identify, Interact and Invest, Re-Think to E-Think and Data Collectors to Data Scientists, to name a few. TheMentorpreneurs Inc., is a global platform aggregating start-ups to catapult growth and thereby ensuring effective collaboration in the start-up ecosystem. Our objective is to bring together the entire ecosystem under one roof so as to add value to the community at large. TheMentorpreneurs runs varies initiative like TheMentorpreneurs Clinic, TheMentorpreneurs Nurture Series, TheMentorpreneurs Ecosystem Builders, and Mentoring startups for building sustainable businesses. My name, Shobhna, means beauty and Godliness and I feel my profession as a yoga teacher is allowing me to be beautiful, spread love and beauty, as well as feature Godliness, in the form of happiness. It’s been five years since I began working in the field of health and happiness through yoga and before that I worked for a short while as a PR and CSR executive in one of the leading corporates. Soon, I realised that only by becoming a yoga student and a yoga teacher, could I justify my life to me and the society around. Nothing could be more important than health and nothing could be more beautiful than connecting with nature…and yoga answered my life’s questions. The way I could conquer the problem of PCOS through yoga, ayurveda and modern healing therapies, I wished to spread the same among girls like me. I further wish to make my happiness so deep and infectious that I can rightfully become a healer for myself and the universe around me. I was always keen to be a part of citizenship events so that I could contribute towards the society. Any citizenship event gives us a chance to interact with the under-privileged children, who are the bright future of India. They are always full of zest and eager to learn new things. They are a source of inspiration as they teach us that our financial background and situations should not be a hurdle in our carrier. Being a part of the Information Technology stream makes us realize the value of the basic IT skills that we possess. This thought motivated me to share my knowledge with those who do not have enough knowledge about this stream. We conducted various sessions on Introduction to Computers, Operating Systems, Microsoft Word, Excel, PowerPoint, Internet and Email with an NGO called Magic Bus. The response that we got from the children was so overwhelming that it gave me a new spark in life. I decided to take this forward and conduct similar sessions across Pune. Being a part of an investment bank also makes me realize each day the value of money and how it grows in the financial market. Thus, we planned events on Money Management and Financial Skills to make the children aware of the banking domain and the financial jargons. Also, being an artist, I tried to use my art and skills for the benefit of society. I donated my paintings and other handmade stuff in various fundraising events across Barclays, which fetched huge amount of money. That amount was matched by BTCI and donated to various charities. I’m in my final year of pursuing a BA Journalism (Honours) from Lady Shri Ram College for Women. Born and raised in Delhi and being the only child, I’ve always been working hard to achieve in any field I’ve been in, whilst gaining maturity at a young age through all hardships. From winning competitions in my hobbies as a child to winning awards for Community Service and Academics in school, I faced many struggles to change. My journey from being timid, depressed and discriminated to being outspoken, embracing leadership and living positive life is still in its pursuit. I learned to develop and effectively proliferate ideas to positively impact community through my understanding of media, policies and corporate structures. I’m a firm believer in educational reforms, sensitizing youth about gender diversity and harnessing the power of media to impact the community. After getting through a college like LSR based on merit, I decided to keep striving to grow and learn. I pursued many internships which I got through college placement cell or through my own application strength with startups as well as brilliant organizations such as Teach for India, NDTV, Hindustan Times, Amazon, RIS (Ministry of External Affairs), HCL etc. I also took on leadership challenges such as being in the Placement Cell Union where the statistics soared under my tenure. Though I’m studying media, I’ve worked in many fields such as HR Recruitment, Editorial, Marketing, Research, Strategy, etc. Presently, I’m interning with the global team of AMD Inc under supply chain management, as well as being in my final year of college. I’m also a columnist with The Logical Indian where I write about issues like social injustice. I also write for DU Beat, the largest student campus print. I’ve had over 70 articles published over various mediums. I believe in taking the path everyone is scared to choose. I did competitive dance when my health was down, I studied hard and became a merit student in 12th where few years ago I was among the low-scorers in my school. I started from scratch to build a network without using family relations to get internships. I was chosen for various leadership positions in college where I once shied away from people. I even gained positions in various departments where journalism students aren’t preferred but someone studying Bcom is. Leading happens through setting examples, and I’ve always been up for the challenge. I feel lucky in so far to have met some wonderful people and have the will and strength to continue despite all odds. Inspired by woman leaders, I too wish to be the impact changing the minds of our community to see and believe in women, to let us set examples and be on the forefront, and to let us be the change. I started my career as a developer in various technologies and rose through the ranks to become Vice President. I believe that nothing can replace the hard work, dedication, integrity, passion and humility to make you successful. My ‘never give up’ attitude has always been instrumental in turning any situation into positive. I work at Barclays as a Command Centre Manager, where nearly 300 colleagues work and provide support to thousands of production services and servers of various technologies. I need to deal with crucial situations every day and what helps through it are the efforts spent to build the relations through collaborations, innovative &amp; different thinking. The most important thing for me is my teams and the career for each of them. I ensure to dedicate my time to mentor the teams, encourage and support them and raise the concerns on their behalf. Along with my day job I dedicate my time on various community and organization wide objectives. I was working for the Rachana Hostel, Pune with underprivileged students to raise funds for their education, lodging and boarding. This year I am working to support the farmers from the drought hit areas on Maharashtra. I am leading the Colleague Experience Council for Barclays through which we are introducing initiatives to incorporate best practices in Barclays resulting better colleague engagements. Born and raised in Mumbai, I have spent all 23 years of my life in this city. My father is a businessman and mother, a homemaker and also the strongest influence in my life so far. Apart from inculcating strong values and religious beliefs, they have always encouraged me to follow my curiosity and try different things. It is due to the last of their aforementioned efforts, that I developed deep interests in reading, painting, sketching, photography, travelling and dancing. In spite of being extremely naughty as a child, I always took my academics seriously and made it to the dignified ‘top list’ in school. After completing my high school education in Commerce, I wanted to explore Finance more so I decided to pursue my Bachelors in Accounts & Finance from Narsee Monjee College of Commerce and Economics (University of Mumbai). Here I got an opportunity to meet people not only from diverse backgrounds but also from different parts of the world. After completing three years with excellent grades I landed myself a job with Barclays, one of the best companies that came on campus that year, as a junior business analyst in the Markets division of the Investment Bank. 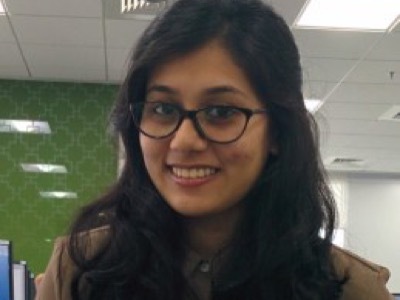 Sabah joined Barclays in November 2013 as a Test Analayst and her immence performance allowed her to be promoted to another job role in a year period and is currently working as a Business Analayst for a Risk Team. Her favourite part of the job is that she gets to closely deal with business and get the hang of the domain. When she is not analyzing, she is busy eating confectionary or petting her cat, Jenny. I was born in Pune, India on 25th Dec 1991 and I reflect a varied personality including ambition and qualities of generous and thoughtfulness. I am also a determined individual, yet pleasant and calm. I encourage fighting for what you desire and believe in, and doing it through God because nothing great comes easy and with God everything is possible. 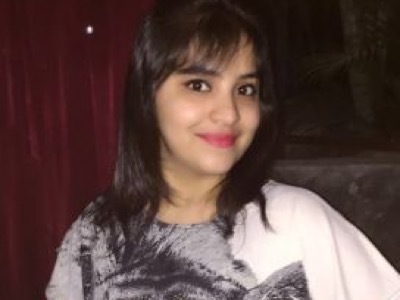 I work full-time as a Test Analyst at Barclay’s Technology Center India, motivated by a love for learning new things, innovative ideas and striving to become an outstanding and successful woman in today’s society. With the definite goal of becoming a professional dancer, I have recently completed a Master’s degree in Business Management, at University of Pune and I previously graduated with a Bachelor degree in Computer Science, in June 2012 at University of Pune. Through my passion for performing and working as an independent individual, I have embraced a fanatical interests in Infrastructure management support, in my prior experience and was part of ‘Center of Excellence’ Group. I am currently involved in SOA Testing i.e. Web Services/API testing and help the team to build innovative automated solutions. I have also participated in few tech events like Tech-Fiesta and Tech Gig that are held within the organization against different business verticals. I am also an active member for organizing team events and participating in community events that are part of Barclay’s initiative. As a dancer and cultural activist, I represent my society at regional festivals, giving them opportunity to embrace and appreciate. Locally, I am involved in keeping our culture alive and as a role model; creating avenues for young individuals like me, which fosters the establishment and development of their talents that can ultimately benefit our society. Aside from the above, I have kept a keen interest in reading novels and shorts stories, gymnastic (Aerobics and Zumba), listening to music, and most importantly spending time with my family and loved ones. Last but not the least, I will soon be starting guitar lessons, an another line of interests in music and entertainment. 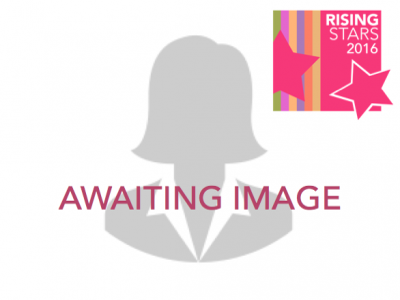 I am a seasoned marketing professional with over 14 years of experience in media and telecoms, having essayed Intrapreneur roles throughout my career, with a proven track record of achievement and execution. From 2010 to 2012, I launched 13 Mass-Media National Campaigns in two years as Brand Head of Mobile Services at Airtel. In 2007, I launched and monetized 300 Crs in year one for Music On Demand, the 2008 GSMA Award Winner in Mobile Music Category. In 2006, I launched and brought to a No.2 ranking in Delhi in year one Radio One 94.3 FM, Delhi as Programming Head. I founded Obino, a health and weight loss coach on your mobile, funded by US-based healthcare, VC Roundglass Partners. Obino is a virtual health coaching solution on your mobile and has been used by over three lakh indians to address obesity, diabetes, PCOD, thyroid issues, hypertension, fatty liver disease and high uric acid levels, amongst others. With a 4+ rating on the Google Play Store and thousands of delighted customers in India and abroad, Obino is also Samsung’s preferred partner in India for its wearables. I am 22-year-old with varied experiences. I finished my Computer Engineering degree from Mumbai in 2015. As part of my internships, I worked with Barclays, Pune in 2014 and CERN Switzerland in 2015. Further to this, I came second at CIMA Global Business Challenge 2015 held in Poland. Currently, I am working at Rakuten Card, a Japanese Credit Card Company as a senior software developer. With all my experiences, I believe I have demonstrated high potential at young age.